With 80% of its workforce attending the 2016 Algoa FM Big Walk for Cancer, the BBF Safety Group Port Elizabeth plant halted operations so 390 of its team could take part and help raise much needed funds for the Igazi Foundation. 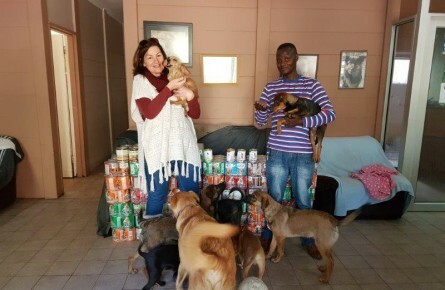 Contributing R23,400 to the cause from its employees alone, knowing each employee was expected to bring at least one friend or family members, BBF Safety Group is immensely proud at how its team has taken on the initiative and extended the awareness of the cause. “Giving back is something that’s important to the Group,” says Danie Kruger, Divisional General Manager of BBF Safety Group, Port Elizabeth. “We try and support our people through their challenges in life, with many of our team directly impacted by cancer.” And by pulling together and walking to raise much needed funds is one way the organisation gives back. 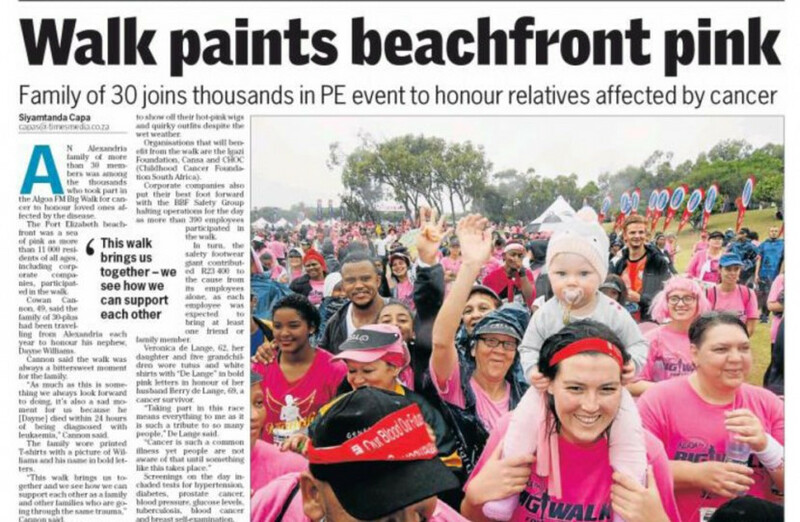 The Big Walk for Cancer is an important event in Port Elizabeth and it was heartwarming to see so many of the BBF Port Elizabeth team come together to raise money for a cause close to everybody. “The overwhelming support by our staff to participate in this fundraiser goes a long way in showing the culture of the BBF Group,” adds Kruger. Big Walk for Cancer 2016 beneficiary: The 2016 beneficiary Igazi Foundation is the only dedicated haematological services NGO in the country and works to improve blood cancer and blood disease services in South Africa. South Africa is a country with a dire shortage of haematologists, haematological support, advocacy and support services. The Igazi Foundation lobbies provincial and national government to improve haematological services and facilities for sufferers and their families.